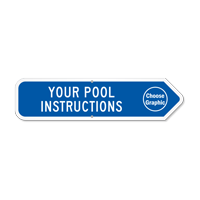 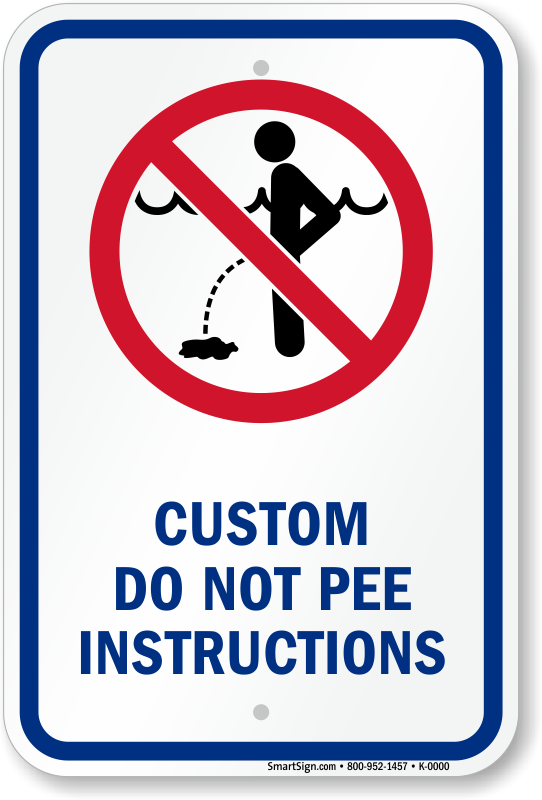 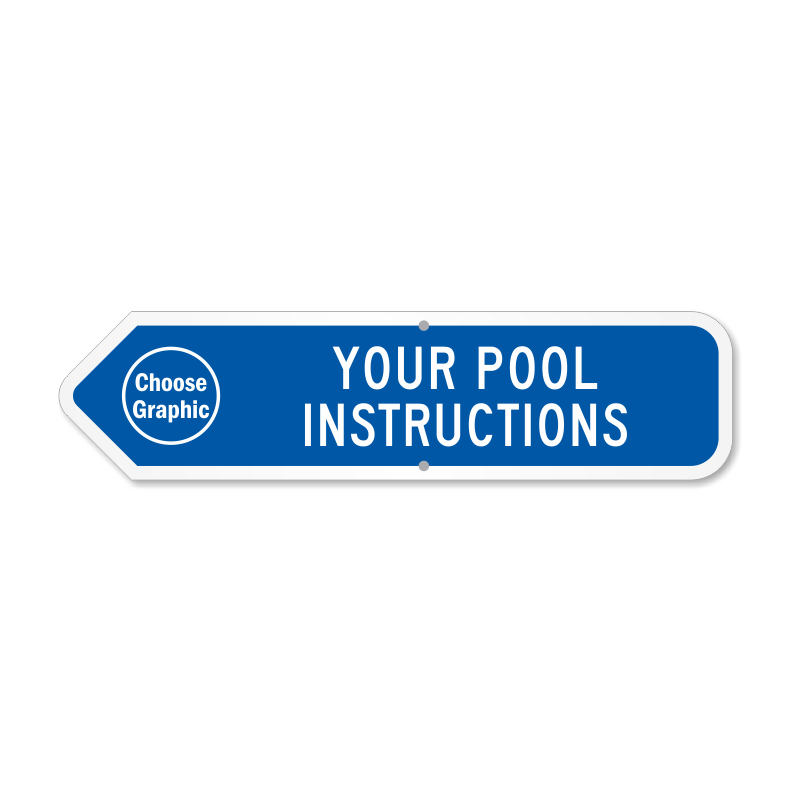 Get as creative as you want with popular custom pool signs. 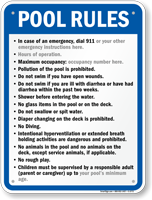 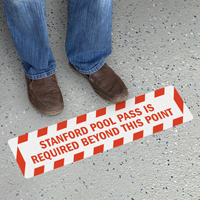 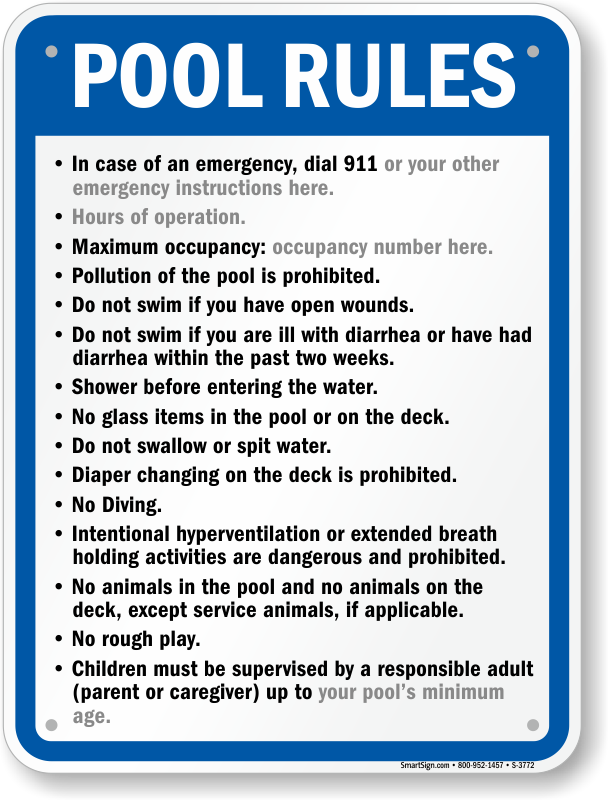 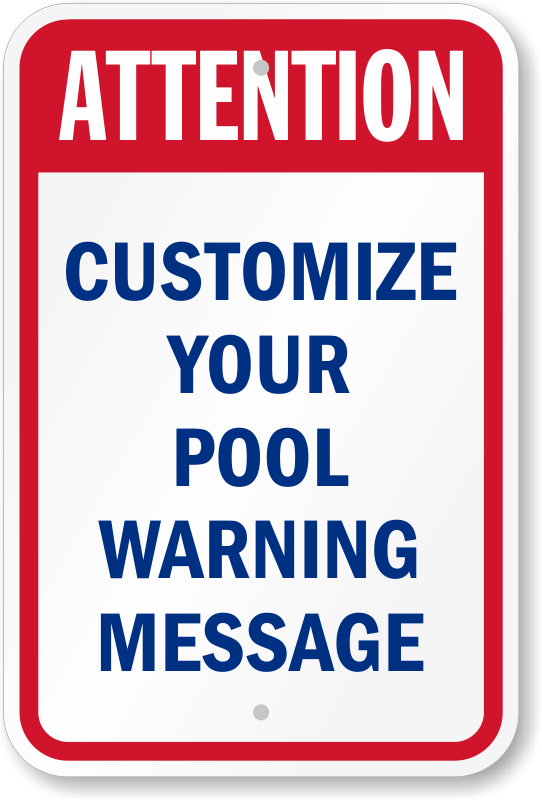 Limit your liability and protect swimmers with simple rules and warnings to encourage compliance. 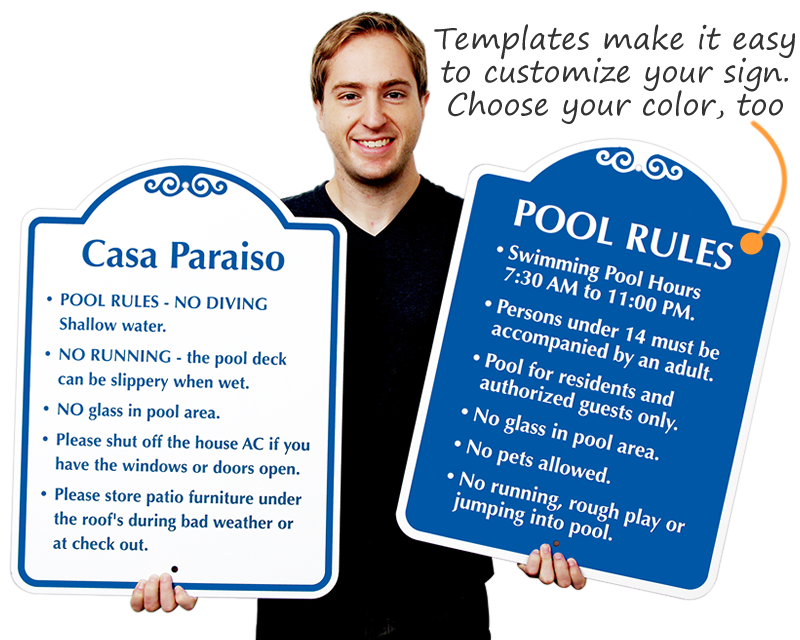 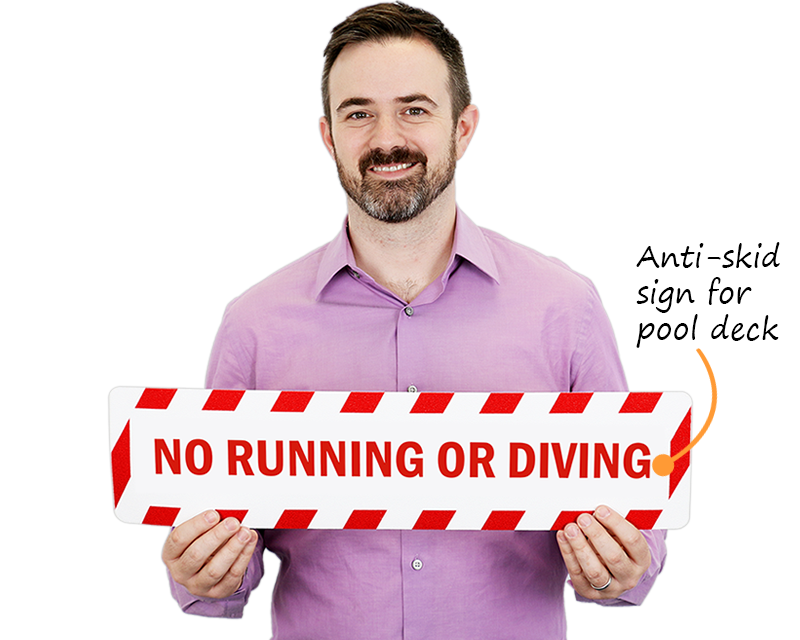 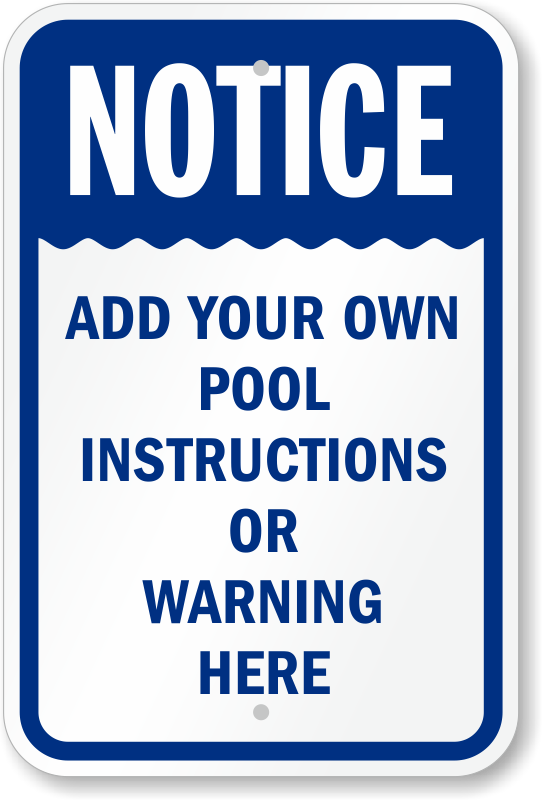 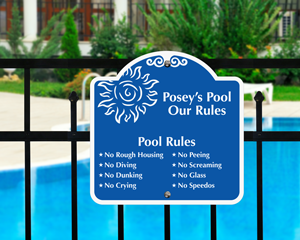 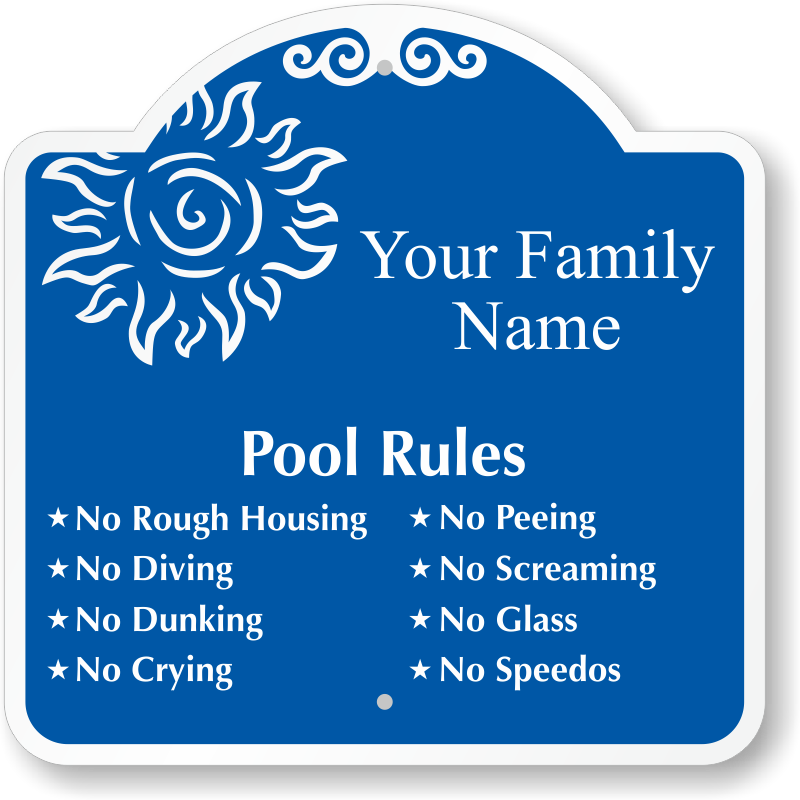 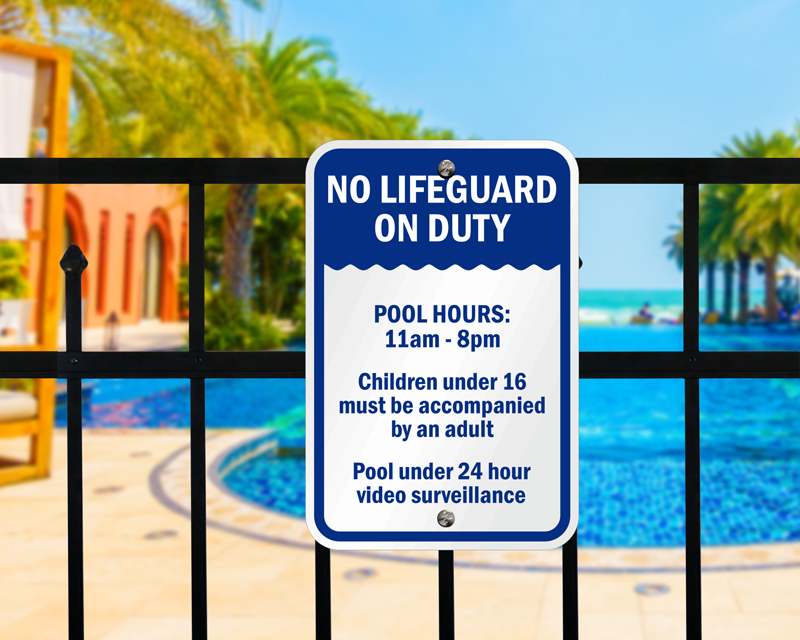 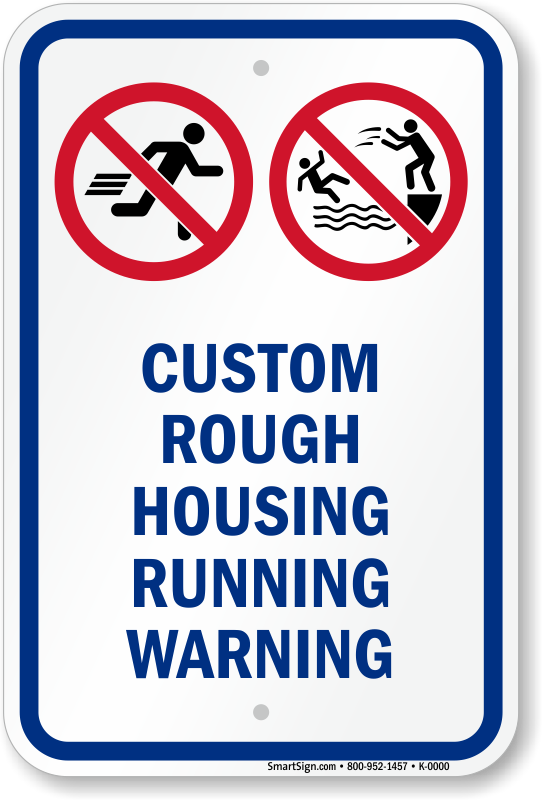 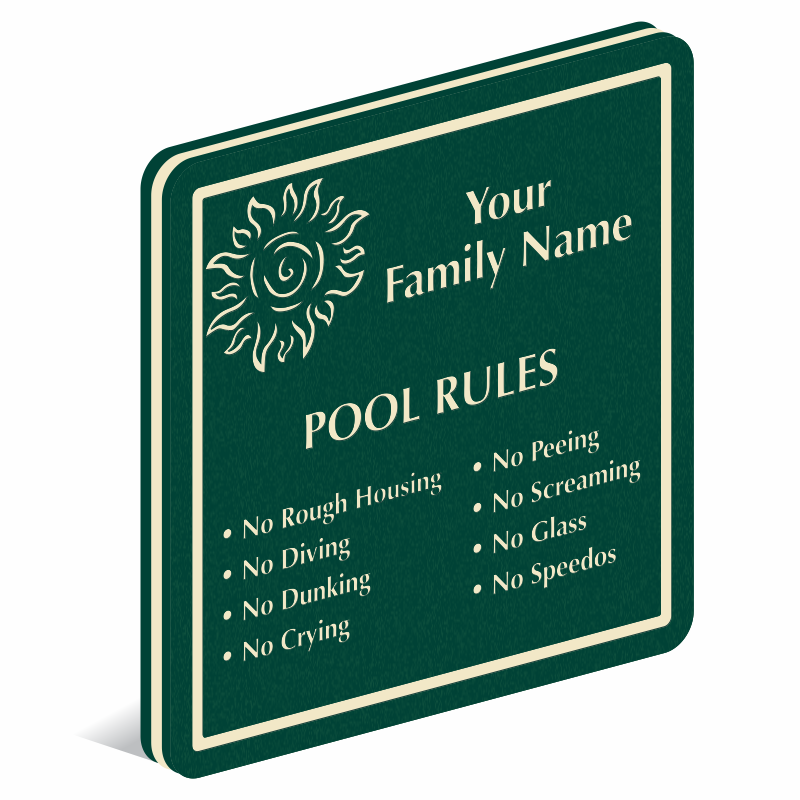 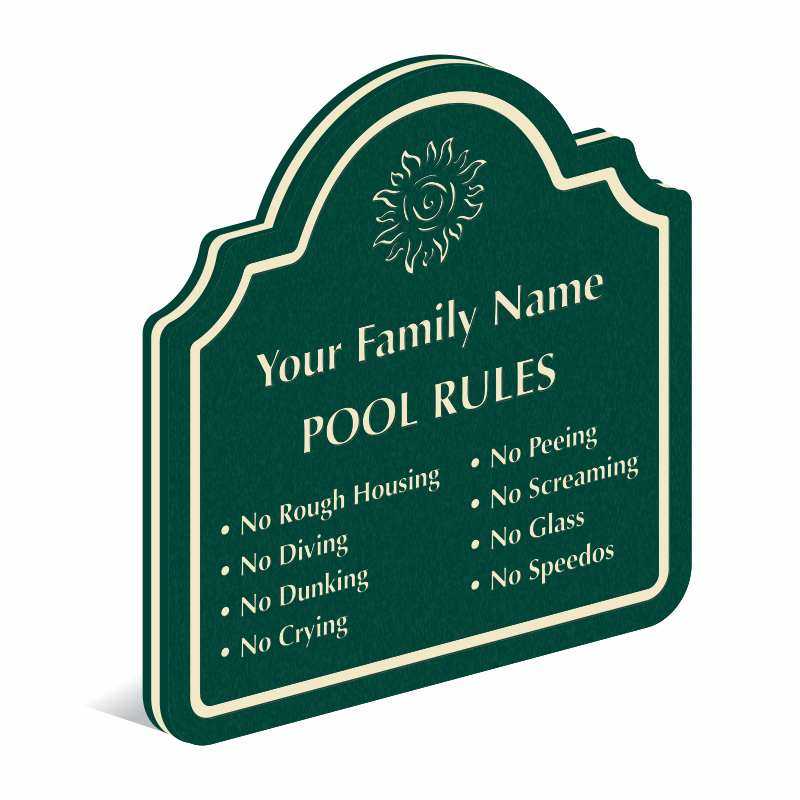 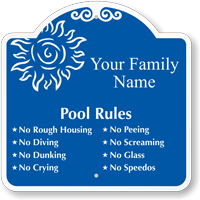 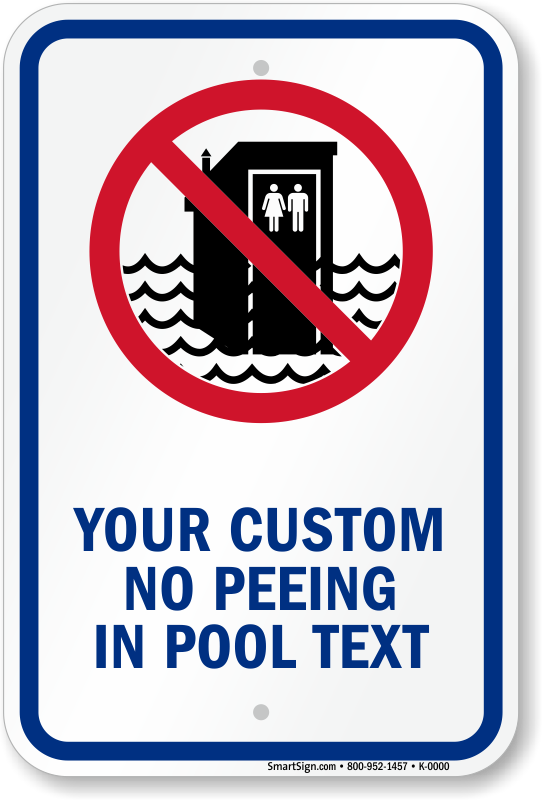 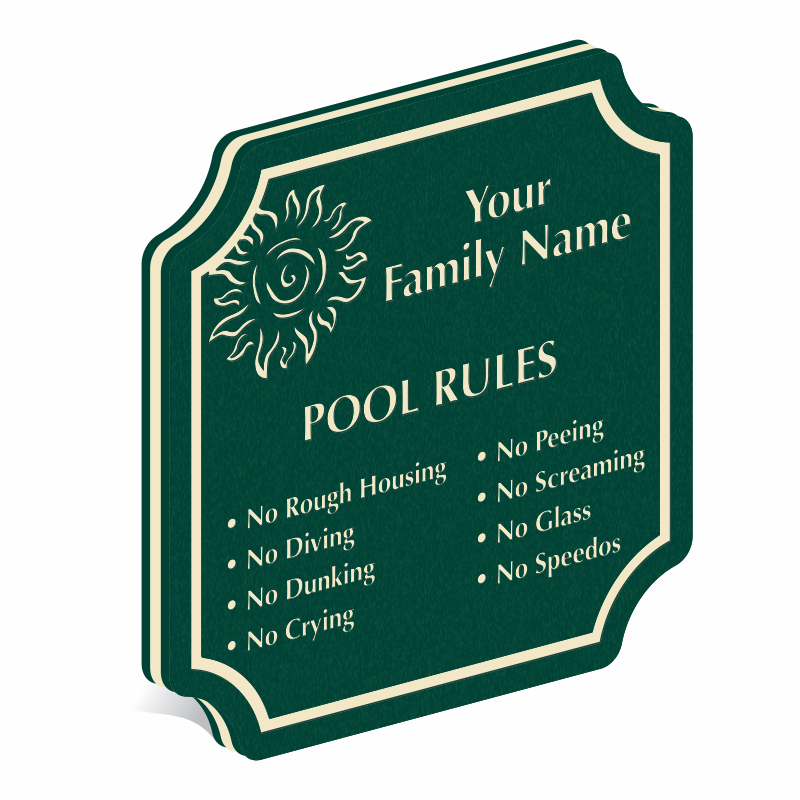 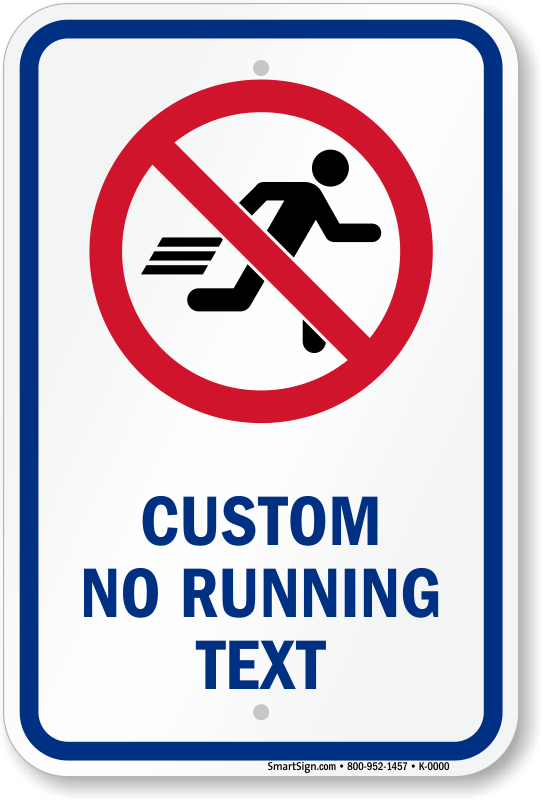 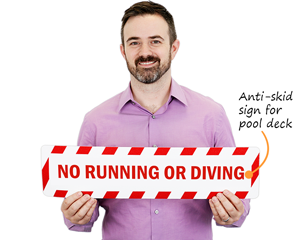 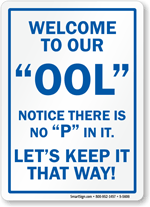 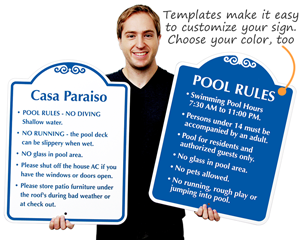 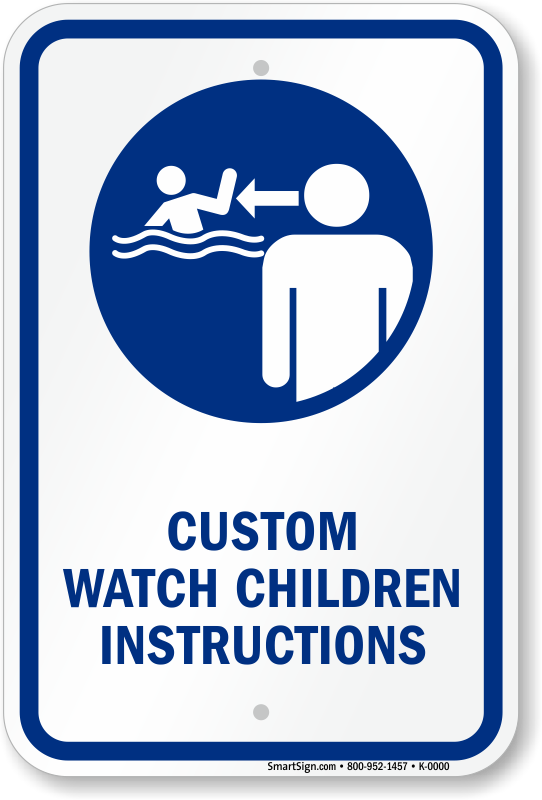 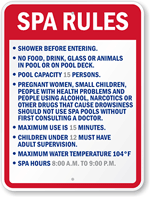 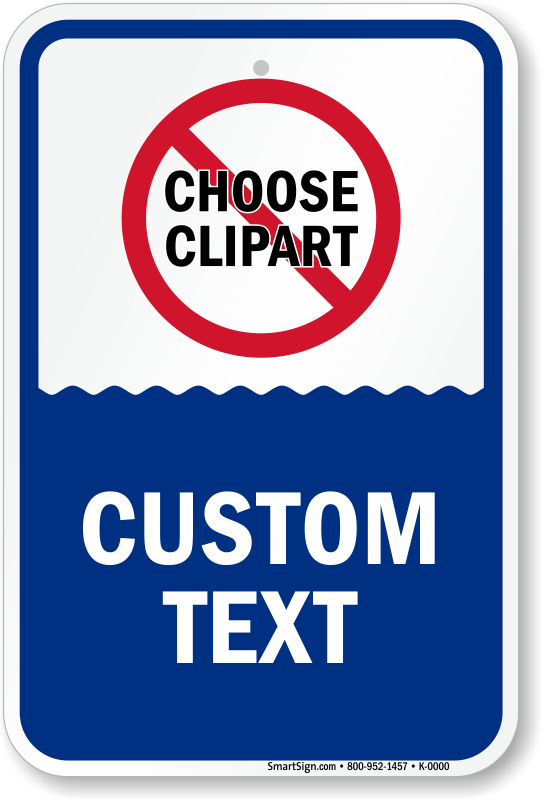 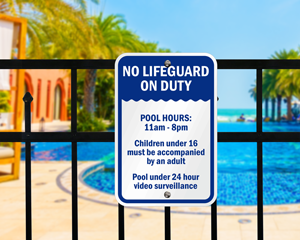 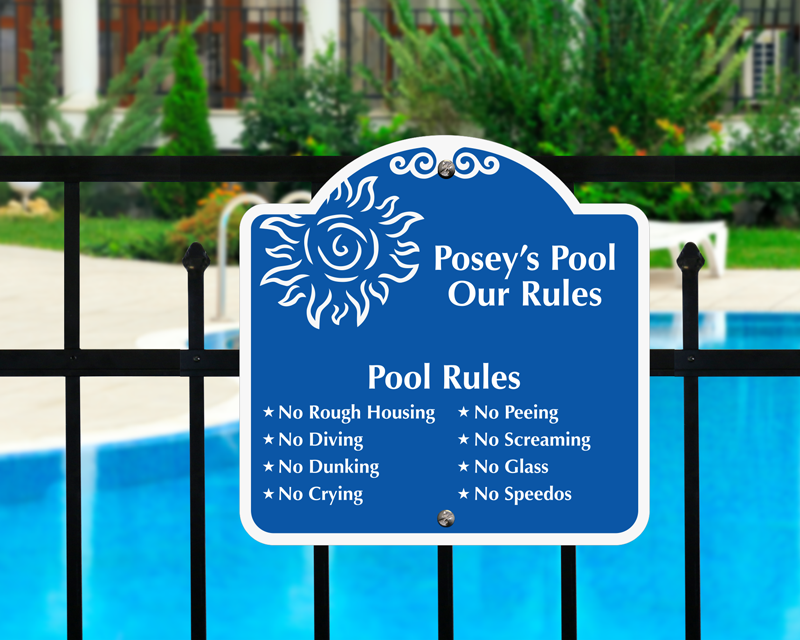 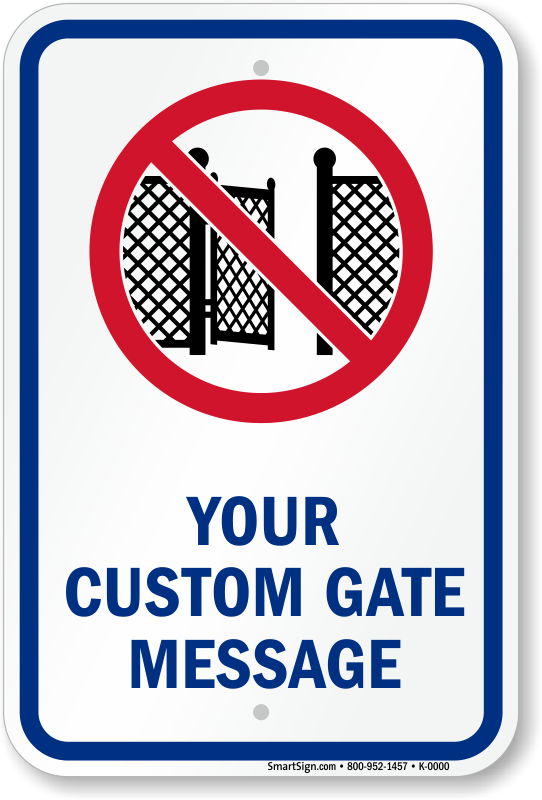 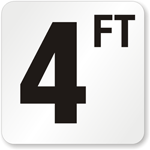 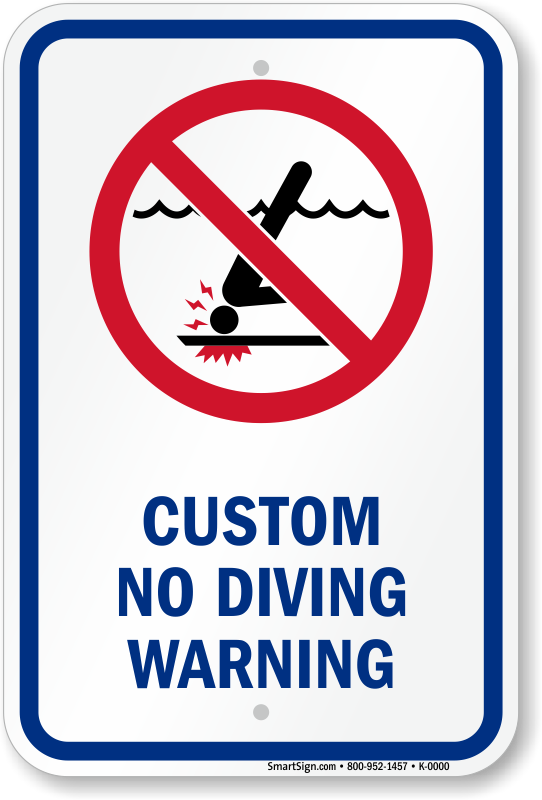 • Custom pool signs are a great way to send a targeted message to your swimmers. 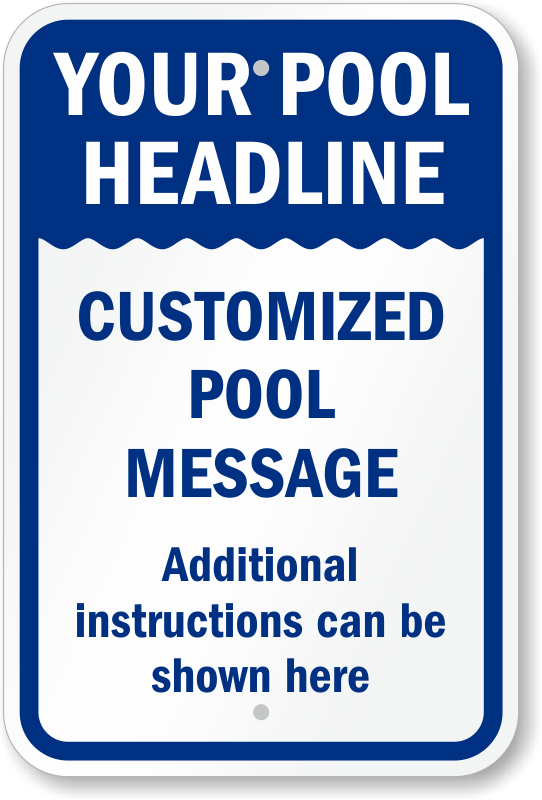 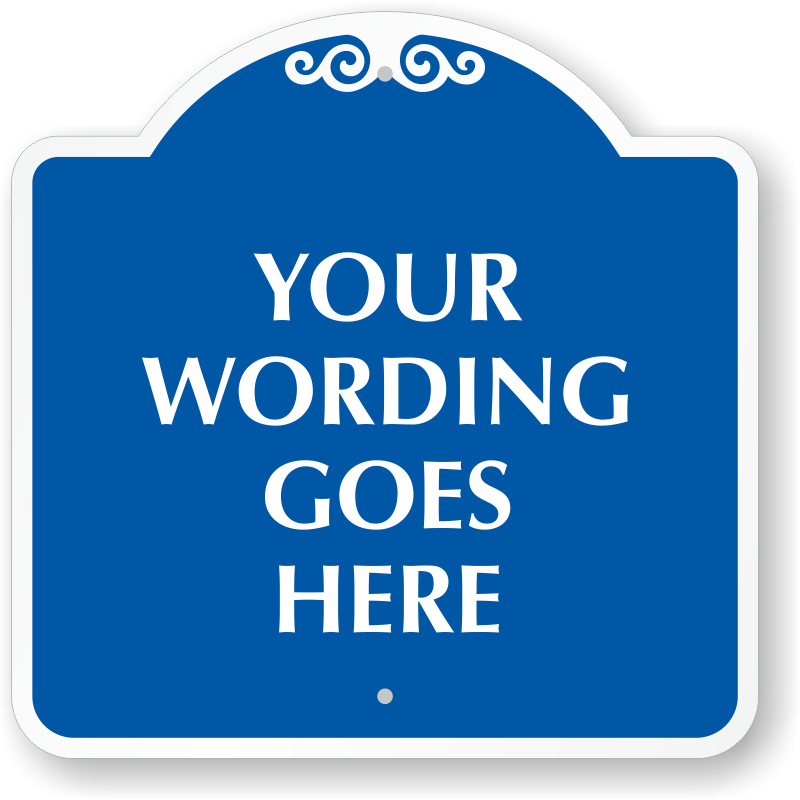 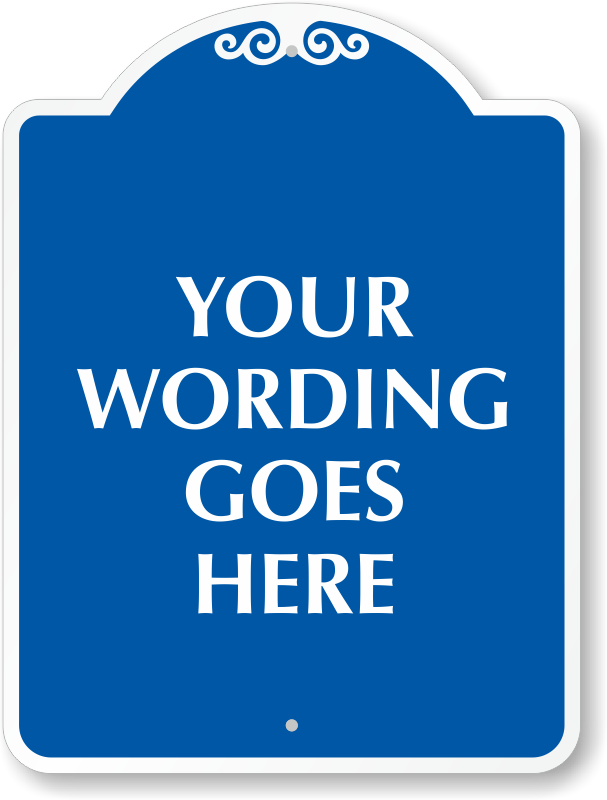 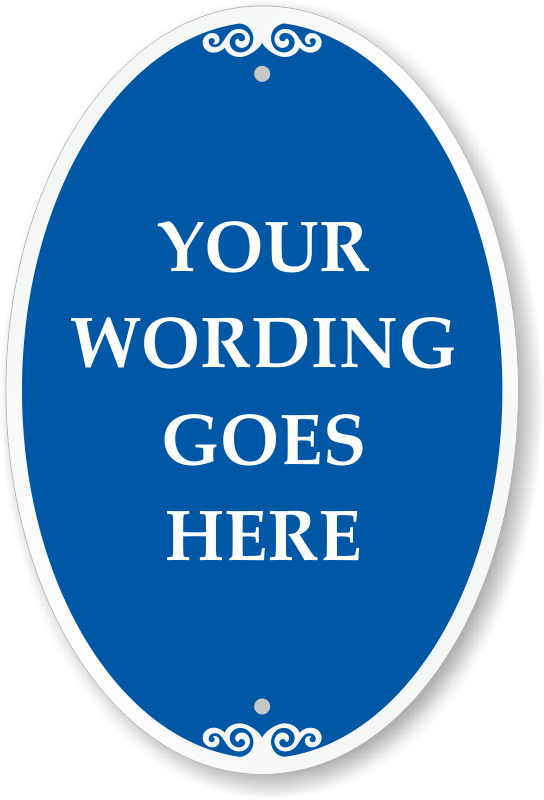 • Emphasize your message with a vivid border or custom text. 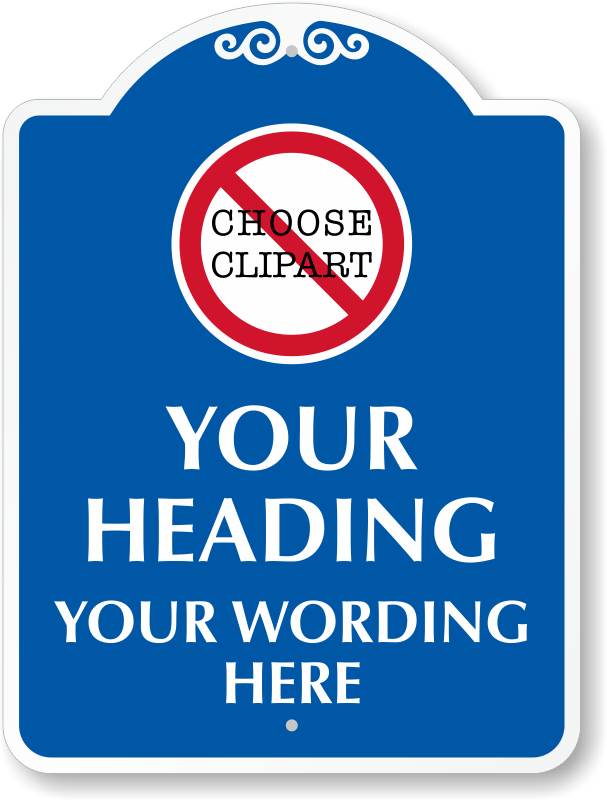 • In over your head? 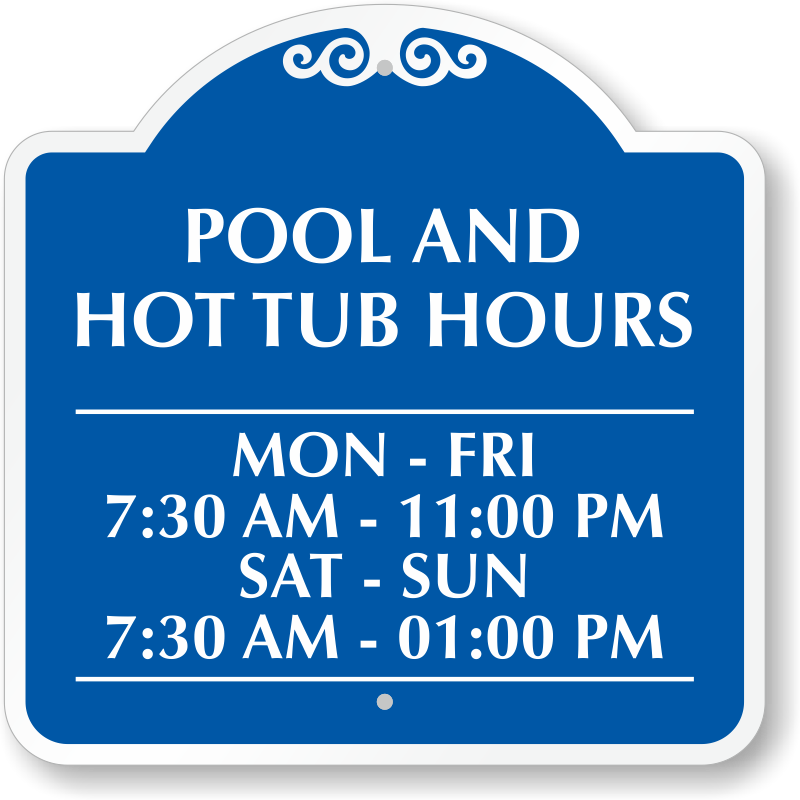 Give us a call if you have any questions. 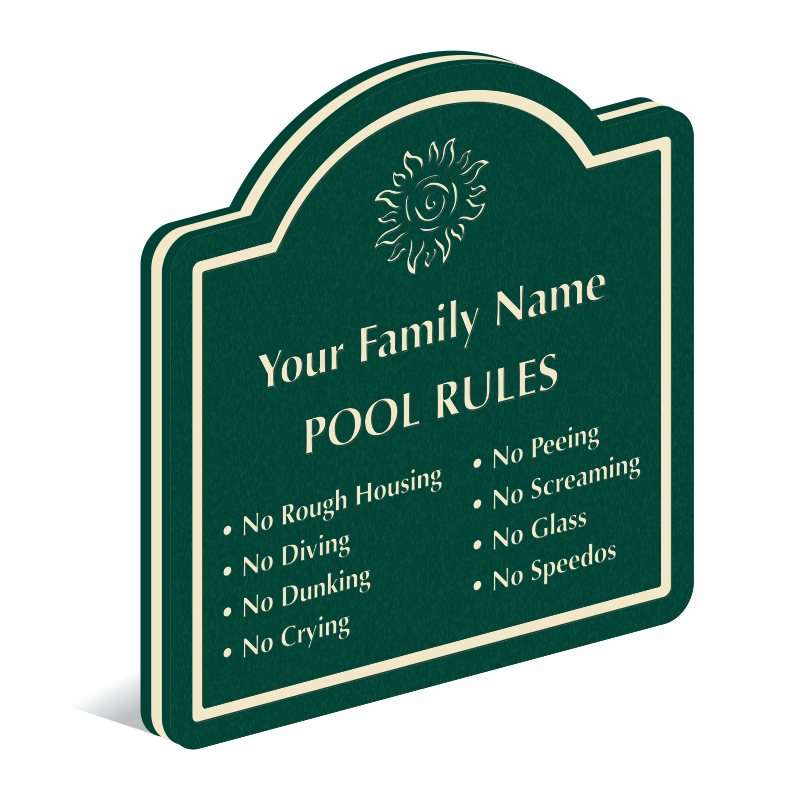 Fill in your specific time that your pool is open. 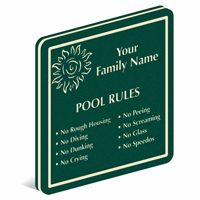 Durable signs last for over ten years outside. 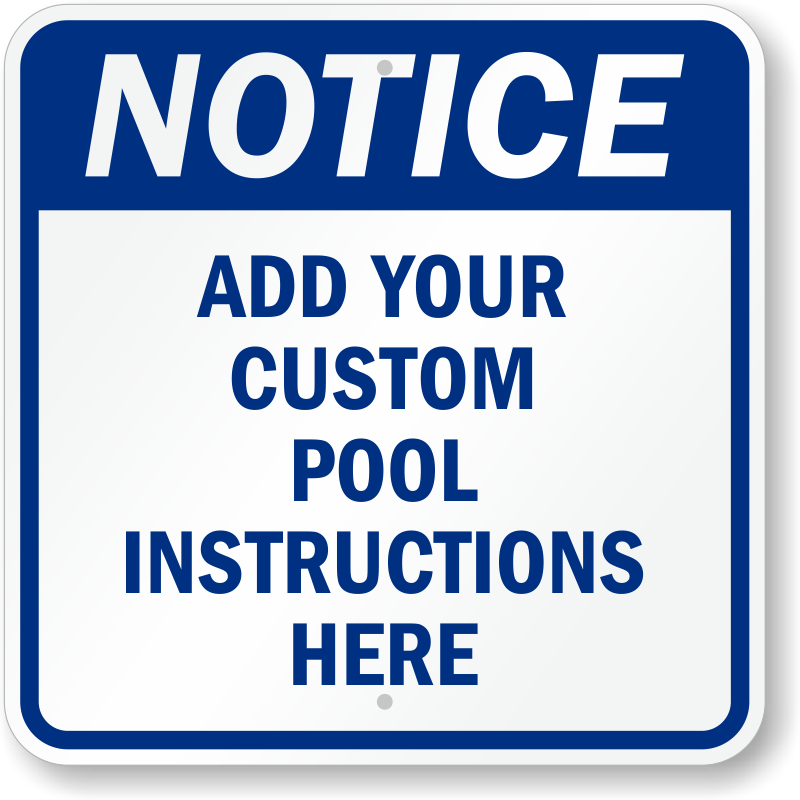 7" x 10" to 18" x 24"
10" x 10" to 18" x 18"
Quality product!!! 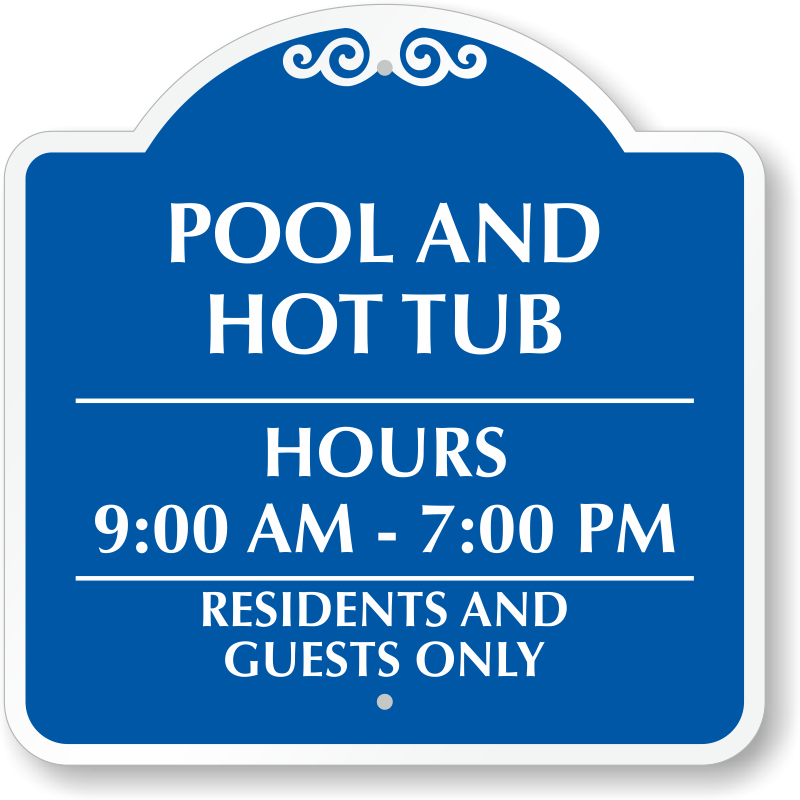 Great Price !! Well made, print and look of the sign was perfect.Thanks for the quality product at a great price. 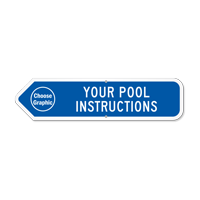 Excellent customer service and quality. High quality, quick delivery. 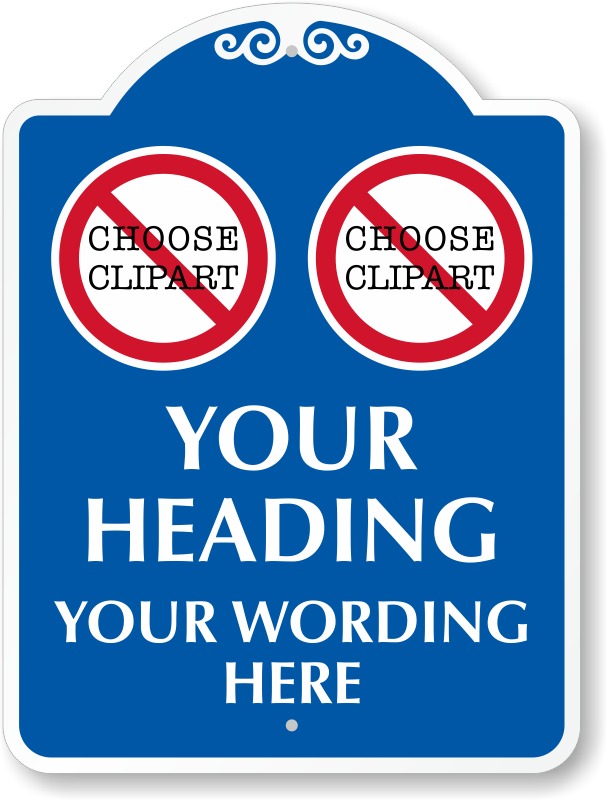 Edits were exactly as I submitted.